It’s been exactly 5 years since we last saw a Ghost Recon title on consoles. 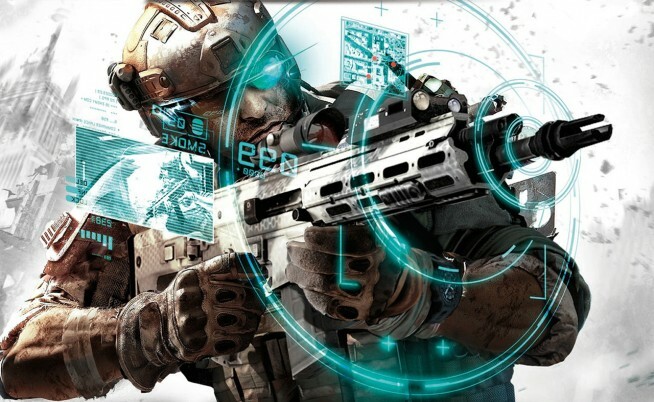 When Ghost Recon: Future Soldier was first announced back in 2010, you could just see the hype meter skyrocket across the internet. The Ghost Recon series has been among one of the most beloved shooter franchises ever, and rightfully so. 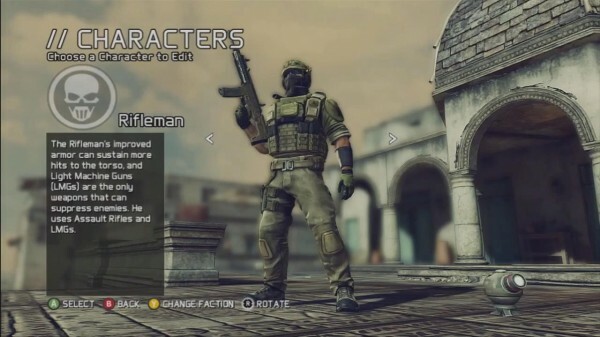 Given the success that Ghost Recon Advanced Warfighter 1 and 2 had, and how much they were loved by fans, everyone was excited to see what Ubisoft had in store for a future Ghost Recon title. Well, that title is here, and let me tell you, it’s a good one. Ghost Recon Future Soldier is not a perfect shooter by any means, as it does have a few annoyances that I will go into detail about. If you had a chance to participate in the beta a few weeks back, you would know that Ubisoft keeps their ears open to all feedback and are quick on the trigger to push fixes for the community. So let’s get into the deep part of this review and see where Ubisoft went right and wrong. Gunsmith is as advertised. It’s absolutely brilliant, to me. For those of you who are unaware, Gunsmith is Ubisoft’s version of gun customization. 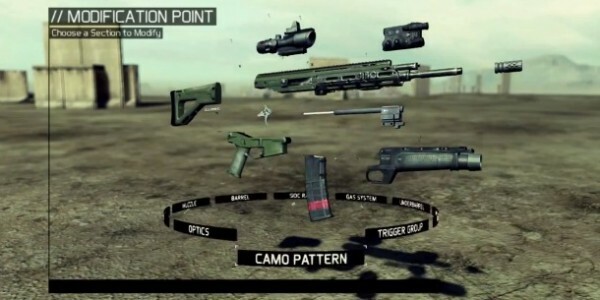 Here you can customize virtually every part of your weapon. From the muzzle, barrel, optics, magazine, trigger, to even the gas system, every portion of your weapon can be upgraded to fit exactly how you desire. Do you have a Kinect? If so, the experience is even better. The Kinect is fully integrated to work with Gunsmith as well. Do you see a gun you can unlock in a few levels and you want to try it out with specific attachment unlocks? Head to the Fire Range, which loads almost instantly, and test your weapon out before you make a decision. Everything about Gunsmith is remarkable, and I cannot applaud Ubisoft enough for the work that was done here. It’s takes customizing a gun to a creative and fun way that is unrivaled by it’s competitors. If you’re unfamiliar with how Ghost Recon titles play, they are all tactical third-person shooters. Success relies on your ability to use the cover system efficiently and use all of your gadgets in your arsenal to achieve success. The cover system has been reworked for Future Soldier, enabling you to take cover, peek out and dish out in a full on sprint to the next cover for the fastest method of transportation. You do this by simply looking where you want to take cover next, waiting until the blue arrow appears, then holding down the A or X button, depending on your console, to get to the next cover. I was a little weary about this during the beta, and although it’s unique and takes time to get used to, you’ll end up enjoying it yourself. 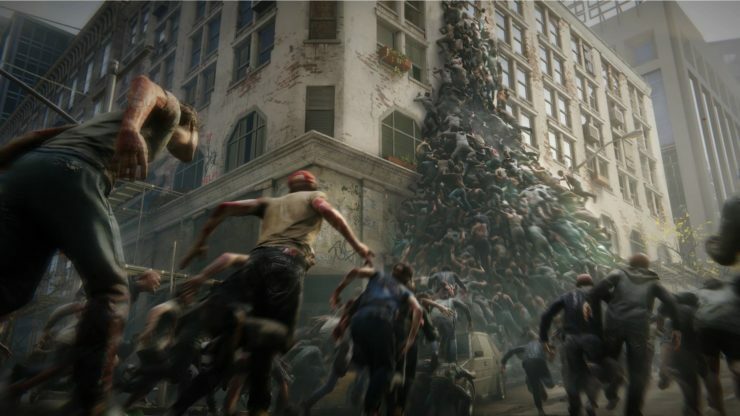 The spawn system plays a lot like Battlefield 3. You can choose to respawn on a squad mate if they are not compromised by intel or too close to an objective or you can spawn back at your base. This adds tactical decision making on your part – don’t blindly spawn on a teammate if he’s in a firefight, it’s a quick way for you to get killed and hurt your team. The shooting mechanics in this game are spot on. The attachments actually make a huge difference. You’ll notice when aiming in with iron sights that it’s hard to aim at targets from a distance. You’ll also notice the recoil if you don’t have an extended stock on your gun. They made the attachments actually worth getting which, in turn, makes Gunsmith that much better of an experience. Rank your respected class up a bit and throw on some attachments for a better experience. At each rank you progress in your respected playing class, you get an attachment point you can spend on any internal or external attachment for your gun in Gunsmith. Each attachment costs 1 point and none are restricted based on rank. This makes it so players who are 30 ranks higher than you don’t have some superior attachment that you as a level 5 player do not have. The only ranked based unlocks are guns and equipment. Luckily, in my experience, it’s not entirely difficult to rank up. All the guns seemed balance to the point that an ACR, a start-up weapon for the Rifleman class, is just as good as the TAR-21 or Type-95 that you unlock later on in your progression. Ghost Recon’s progression tree makes ranking up your class worth it. Every few ranks you will be presented with an unlock, whether it’s a specific equipment or head gear, so you are always presented with something that rewards you and makes you continue your grind to level 50. Every few ranks you are presented with an unlock choice. For example, at level 21, you can choose to unlock the TAR-21 or Stoner 96, you cannot unlock both. This would be a great time to head to the Firing Range, detailed in the Gunsmith section above, to test out both weapons so you make the correct choice. These choice ultimatums are sprinkled throughout the rank progression and are not limited to weapons. There are three character classes you can choose from: Rifleman, Scout and Engineer. The Rifleman’s improved armor can sustain more hits to the torso, and Light Machine Gun’s (LMG’s) are the only weapons that can suppress enemies. The Rifleman class uses Assault Rifles and LMG’s. 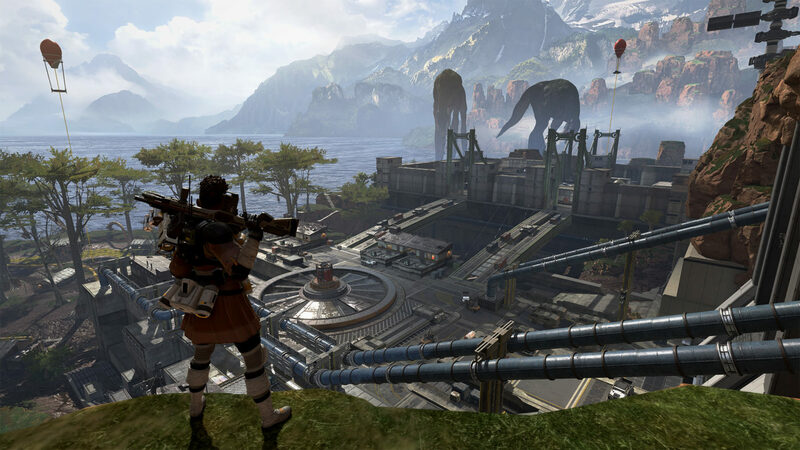 The Engineer’s Scope Detector provides a warning when enemies are scoped in and aiming at them. They use shotgun’s and Personal Defense Weapons. The Scout’s Optical Camo activates while motionless providing protection from Heat detection and near-full visual concealment. It disengages when shot, suppressed, moving or firing. This class uses Sniper Rifles and Submachine Guns. I’ve compiled a huge list of all available weapons, grenades and equipment here. There are literally too many attachments to list, if I go on and compile a list I’m almost certain I’d leave with extreme cramping in my hands, which is good for you, the gamer. It means diversity! Accompanying the two beta maps Mill and Pipeline are eight more maps, Market, Overpass, Harbor, Cargo, Rig, Sand Storm, Underground and Alpha. Pipeline is the smallest map, while the others pack a pretty good size with different styles of play. Overpass preaches a lot of close quarters battles with a lot of narrow pathways while Rig preaches a lot of vertical gameplay with the various different ways to attack from above. Below is some footage that I captured of the map Alpha while playing Conflict. You can get a sense of what you can expect with the video below. You can battle online in four game modes, Conflict, Saboteur, Decoy and Siege. Decoy and Siege are exclusive game modes for those with UPlay Passports for the game that come with each new copy, or that you can buy through your console’s respected marketplace. In Conflict, objectives are randomly located and completing these objectives rewards your team score. Tiebreakers are determined by teamwork. Saboteur pits a bomb located in the central area of the map which you must secure, transport and detonate in the enemy’s base to achieve victory. 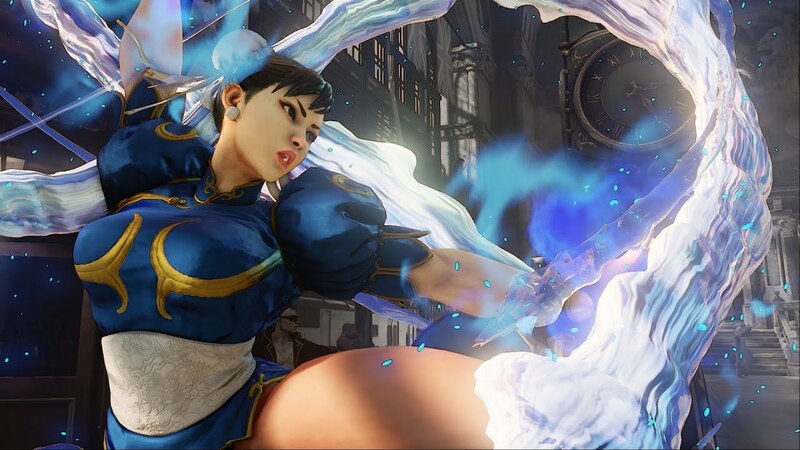 This mode can be described as Capture The Flag but with a ticking time bomb. Decoy has the attacking team prepped with 3 objectives: one ‘key’ objective and 2 decoy traps. 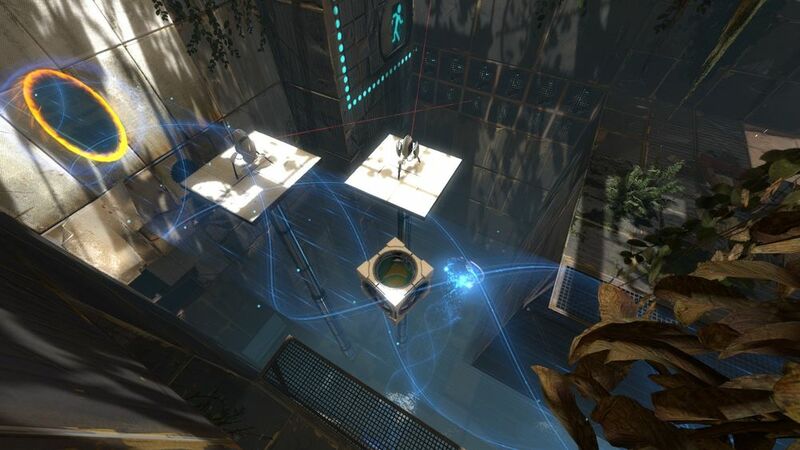 Neither team knows the location of the key objective, therefore causing good gameplay. 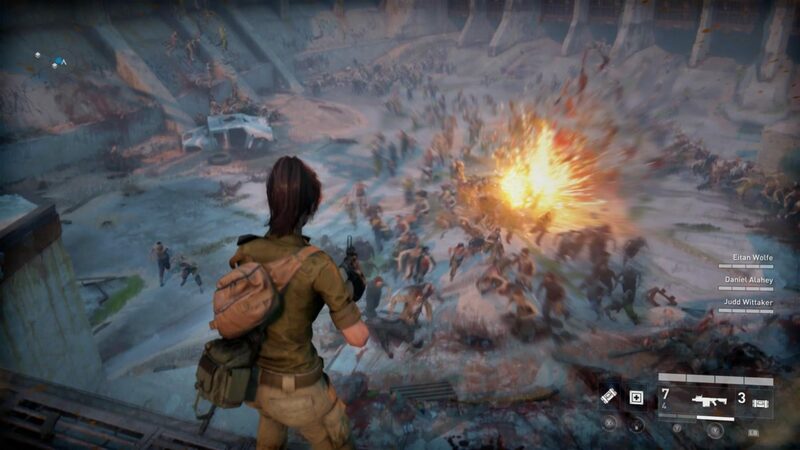 Completing the key objective reveals the final objective, and this mode is a best out of three. Siege is Ghost Recon Future Soldier’s only mode that does not allow respawning. 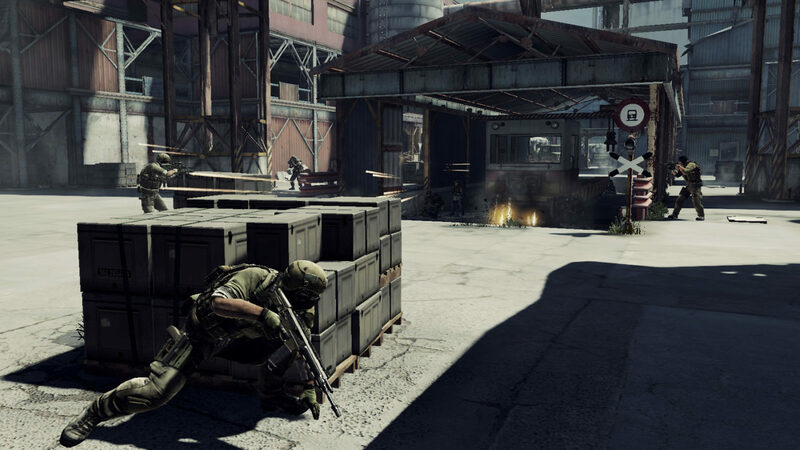 In this mode, defenders deploy near the objective while the attackers deploy at random locations after a short set-up delay. Attackers win the rounds if the objective is completed or all the defenders are eliminated. The defenders win the round if time expires or all the attackers are eliminated. Again, this is another best of three wins. Let’s not be blind here, all games have their imperfections, and although Ghost Recon as a whole is a solid multiplayer title, it has it’s lapses. The good news is, 99% of these issues I have with the game can be fixed with future title updates. The number one thing that bugs me a bit are the bland, unattractive menus. Sure, this may seem like a petty complaint, but with the menus looking like they belong back on the PlayStation 2, it’s hard not to notice. Besides the menus, the rest of my complaints come with the core gameplay. The sensor grenades that the Engineer pack are ridiculous to me. The range on these need to be nerfed dramatically. It almost makes capturing objectives sometimes impossible when playing against solid competition. Frag grenades also need a nerf as the blast radius on these are too large. If you are within 10 yards of a grenade, consider yourself a casualty. Another problem with the game is the lack of a rank system. When you are in a multiplayer lobby, you don’t know what rank certain players are. 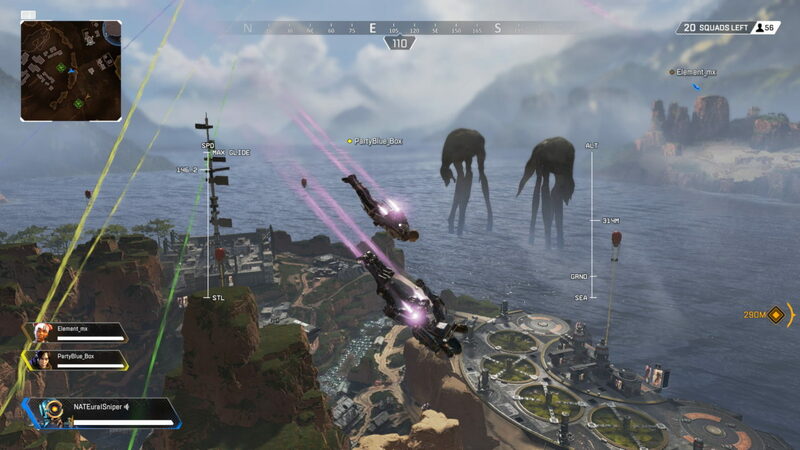 Sure the game is absent of a total rank system and you’re limited to individual ranks from 1-50 for each class, but it would be nice to show off your dedication with at least a number next to your name in the lobbies/in-game scoreboard. 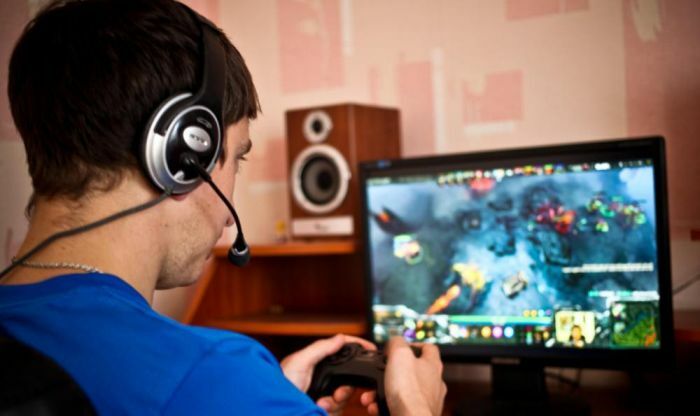 The only way you can check your stats are when you’re in a lobby waiting for a game to start or online with the Ghost Recon Network, a free to use online stat tracking website. It would be nice to incorporate these things into the game, which I assume Ubisoft left out for their own reasons. 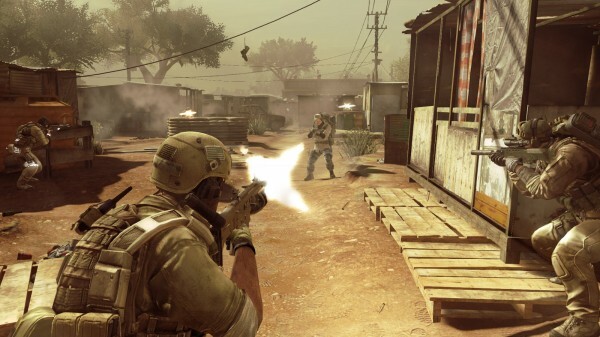 The Ghost Recon Network is a free companion service launching with Ghost Recon Future Soldier. It’s accessible from smartphones, tablets (Android/iOS) and your desktop and mobile browsers. You an also look forward to it incorporating all upcoming Ghost Recon games. 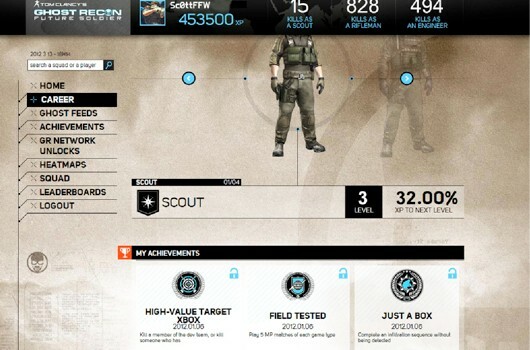 Ghost Recon Network, similar to Battlelog and Call of Duty ELITE, pitches online stat tracking for fellow Ghost’s online. You can find your detailed stats here, including total XP, achievements you’ve unlocked, heatmaps, leaderboards, and you can even access a mobile version of Gunsmith. Customize your gun online and send the changes to your game, or visit the Gunsmith gallery and import someone else’s changes back to your game. You can create a squad and manage it all in-game or from Ghost Recon Network. All beta participants got a chance to test drive Ghost Recon Network, and I believe in today’s world, all major shooters need to launch with one of these sites. Ghost Recon Network adds to the total package with a nice design with an easy to learn layout. If you had any doubts, they should be squashed by now. Ghost Recon Future Soldier delivers on fun, solid gameplay with excellent and deep customization. 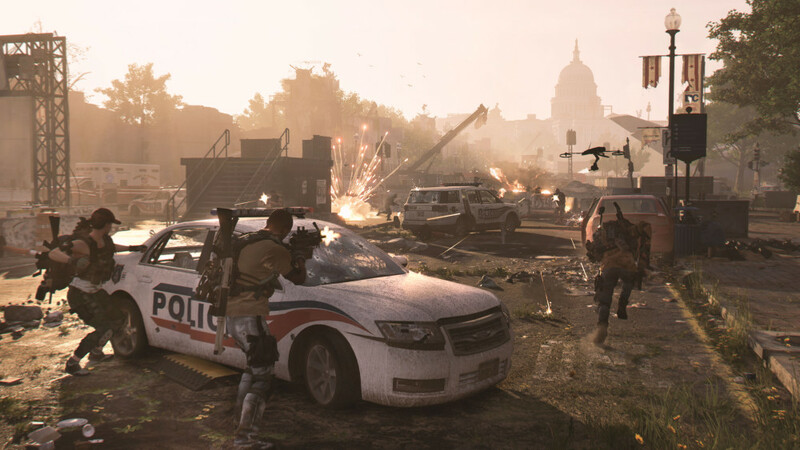 If you wish to rent or borrow the game first before you purchase, be aware that without a UPlay Passport, you can only reach level 5 and you won’t be able to experience the diverse, deep customization that Ghost Recon perfected. Despite that, I believe all Ghost Recon fans can breathe easy as this game delivers on what Ghost Recon is known for: an excellent third-person tactical shooter. Ghost Recon Future Soldier comes out in North America on May 22nd, 2012 (May 25th in the UK), and you should definitely be in line that midnight to pick your copy up as it’s worth every penny. I had a chance to play and beat the campaign and Guerrilla Modes as well, and those modes only add to the great value that is Future Soldier. Will you be picking up Ghost Recon? Let us know in the comment section below!